Wohooooooo!!!!!!! I’ve obtained the next level in my certification path! 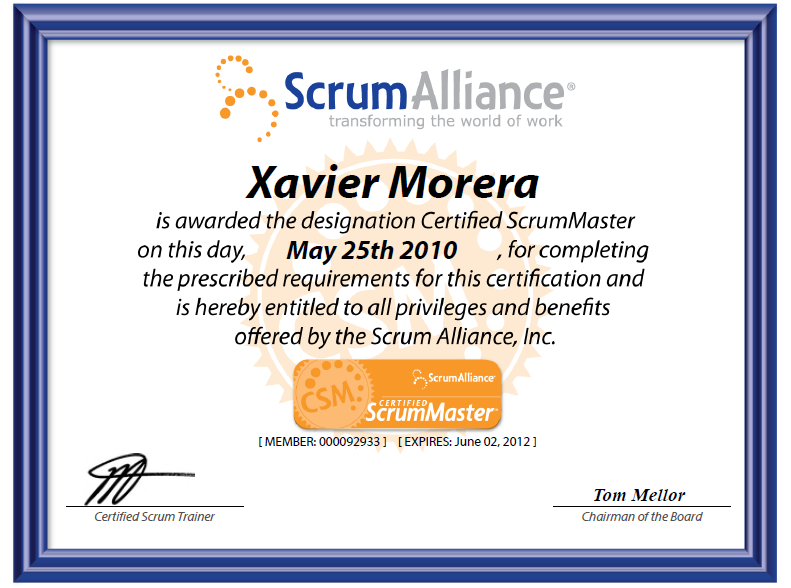 Certified Scrum Professional! 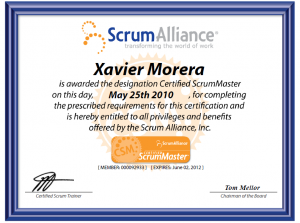 I achieved Certified Scrum Master a few months ago, and now I applied and obtained the next level which involves demonstrating real world experience in Agile methodologies, namely scrum. Also have spent some time getting other Microsoft certifications. Your SA profile will show your new CSP certification status and your certification will be effective for a duration of 2 years. And I just got this in the past couple of months!!! –	If it compiles it does NOT mean that it is ready. It is ready when it has been tested and it works. –	Works on my machine doesn’t mean it has been tested. Tested means in a staging environment and by someone other than the dev. –	And if it works, but it is slow it does not count either. It needs to have decent performance to say the least, hopefully great performance. –	“I’m waiting for XXXX to do this” is not an excuse if you can quickly do it yourself or someone else. –	“I sent him an email but he hasn’t responded” + urgency does not count as an excuse either. Pick up the phone and call the other person if you are blocked. –	If you are blocked, always tell me (or your PM) but keep working on it. Don’t give up quickly but don’t hold it for too long as we might need to escalate, look for options or make changes to the plan. Always communicate but work hard to achieve your objectives.